What’s your Core Purpose? We’ve discussed this subject several times, and it’s revealing that Greg McKeown in Essentialism speaks to it as well. Contrast this with how Johnson & Johnson bounced back from the tragic cyanide murder scandal in 1982. If you’re unfamiliar with the events visit The Tylenol Crisis 1982 for details. Seven people died in Chicago. At the time Tylenol controlled 27 percent of the market. In the aftermath of these events it fell to 7%. The story provides actions and reactions on how Johnson and Johnson responded. Was their first priority to do PR damage control to keep shareholders from dumping their stock? Or was it their duty to console and compensate the families of the victims first and foremost? We believe our first responsibility is to the doctors, nurses and patients, to mothers and fathers and all others who use our products and services, In meeting their needs everything we do must be of high quality. We must constantly strive to reduce our costs in order to maintain reasonable prices, Customers' orders must be serviced promptly and accurately. Our suppliers and distributors must have an opportunity to make a fair profit. Unlike most corporate mission statements, the Credo actually lists the constituents of the company in priority order. Customers are first; shareholders are last. 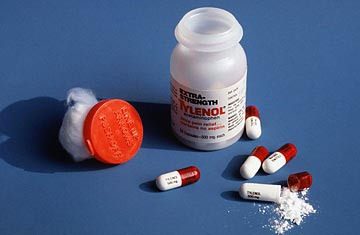 Johnson & Johnson swiftly decided to recall all Tylenol, even though it would have a massive impact (to the tune of $100 million, according to reports) on their bottom line. The safety of customers or $100 million? Not an easy decision. But the Credo enabled a clearer sense of what was most essential. It enabled the tough trade-off to be made. The remarkable achievement in all this is that despite the tragedy, Johnson and Johnson’s response meant Tylenol recaptured 85% of it prior market share one year later. By 2009 it had grown to 56% share of the market until another round of recalls reduced it to 24% share in 2012. Contrast that to how many other companies respond to a crisis. It’s wonderful to have a Core Purpose, or Mission Statement. The truth is revealed how strong you are committed to them when a crisis like this strikes. Does your company live its Core Purpose and Core Values? How would you respond in a crisis like this? One question we ask our customers in our private and public Gazelles Four Decisions workshop on Core Values is, “Would you be willing to take a financial hit to preserve your Core Values?” If you wouldn’t, then how committed are you to your Core Values? So here’s a little quiz for you today from Essentialism on Company Mission/Core Purpose statements. 1 AGCO. A chief manufacturer and distributor of agricultural equipment such as replacement parts, tractors, hay tools, and implements. 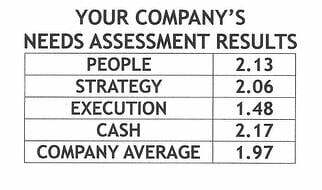 A Profitable growth through superior customer service, innovation, quality, and commitment. 2 DOVER CORPORATION. A manufacturer of equipment such as garbage trucks and electronic equipment such as ink-jet printers and circuit board assemblies. B To be the leader in every market we serve to the benefit of our customers and our shareholders. 3 DEAN FOODS CORPORATION. A food and beverage company, in particular a milk, dairy, and soy products manufacturer. C The Company’s primary objective is to maximize long-term stockholder value, while adhering to the laws of the jurisdictions in which it operates and at all times observing the highest ethical standards. If you had absolutely no idea how to solve this puzzle, you’re not alone. The statements are really rather indistinguishable aren’t they? This is exactly the type of mission statement we coach our customers to avoid. In fact in most cases Core Purpose is designed to be 3- 4 words. An explanation can and should be provided, but the Core Purpose should be simple to recall and recite. It should inspire and be an emotional statement. What is a Core Purpose intended to achieve? To inspire your employees with a clear sense of purpose. Is it time to reinvent your Core Purpose? Let us know if we can help. Imagine you’re on your way home to meet your daughter for a night you planned and arranged for that evening. On the way out you run into an old friend you haven’t seen in years. He’s influential in your business sphere. He asks you to stop for a drink and dinner. How do you respond? Essentialism requires discipline. Discipline is the foundation of the Rockefeller Habits and Positioning Systems core coaching practices. Courage to say no is a discipline few of us practice frequently enough to ensure we always make the right decisions. Why is it so hard in the moment to choose what is essential over what is nonessential? One simple answer is you're unclear about what is essential. We'll explore a decision Stephen Covey made that his daughter recalled about him after he died that offers sincere evidence of how clear Covey was on what was essential to his life. That's next blog.